Reissue of their debut self-released full lenght album.Bay-Area references that are present, a nice mix of Exodus and Metallica-inspired guitar playing. SKU: M2016-2. Categories: CD, RELEASES, Special Offers. Tags: Agresiva, Minotauro Records, Thrash Metal. AGRESIVA is a heavy metal band formed in Madrid, Spain in the summer of 2008, by guitarists Eduardo Chamón and Miguel Coello. Samuel San José (vocals), Daniel Villaseñor (bass) and Axel Ramírez (drums) completed the lineup. 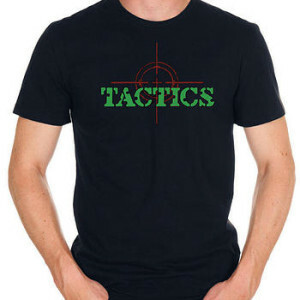 They released their fist demo, Sent To War, in the fall of 2010. Shortly after, Chus Maestro substituted Axel Ramírez on drums. 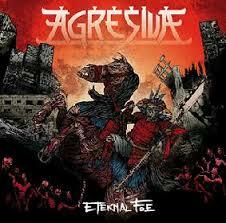 Due to this initial success, in March 2012, Agresiva released their first full-length album, Eternal Foe. The album was recorded and engineered by Ángel “Choco” Muñoz at Traste Cero Studio, in Torrejón de Ardoz (Madrid). It was mastered and mixed by Dan Díez at Sonolab Studio and produced and edited by the band itself. The artwork was developed by Marcos Cabrera. After the release, the band turned into a four-piece act as Eduardo Chamón left for personal reasons, leaving Miguel Coello solely repsosible for the band´s riffs. The release was followed up by numerous gigs all over Spain including performances at important Spanish metal festivals like Pounding Metal Fest and Skulls Of Metal, to mention a few, and a feature in the legendary Heavy Metal Maniacs in The Netherlands. In October of 2013, Agresiva released the EP Chronophobia, recorded and engineered by Vasco Durán (who also co-produced the work with the band), mixed by Carlos Santos at Sadman Studio, and mastered by Mika Jussila at Finnvox Studio in Finland. This four-song release includes two cuts that later appear on The Crime Of Our Time–a demo track from 2010’s Sent To War and a cover of a track by the Argentinean thrashers Malicia. After a bunch of gigs, the band focused their efforts on writing for their next studio album.